<3 so pretty!! and congratulations on blogging every day! Wow that is spectacular - everyone is partying with the fireworks - love it. That's so beautiful! Love the sunset party and the holo fireworks are awesome. i also stamped holo fireworks, but your mani is way prettier than mine. These are absolutely amazing!! I love the holo stamping! A perfect mani for a perfect ending to a perfect year! 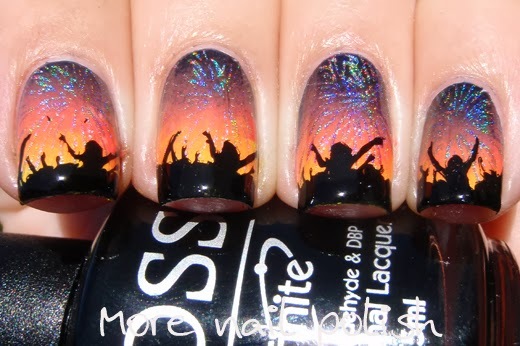 Your mani captured the NYE spirit so vividly! What black polish did you use for the stamping? Happy New Year and look forward to your blog posts in 2014! 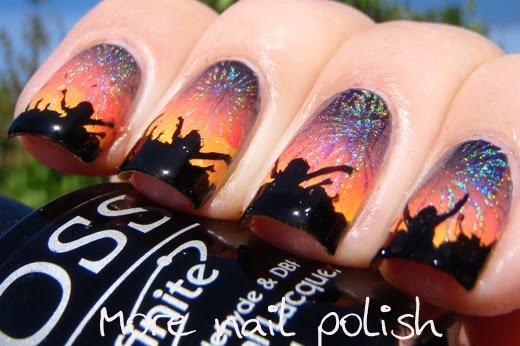 wow I love this manicure! 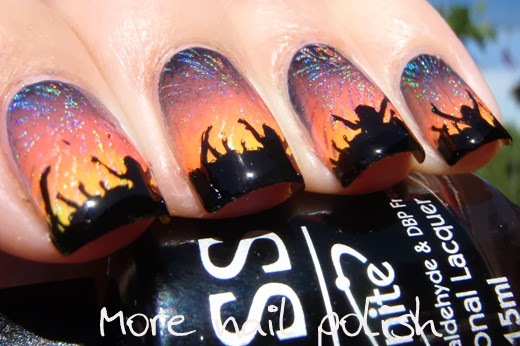 Your mani is amazing I love the colors and how well you captured the NYE spirit! but YOURS is much much more delicate!!!!! FANTASTIC!!!! This is so pretty! Love the fireworks, that is just amazing ;) And congrats on blogging every day - and sometimes with more than one post a day.. That's really impressive! Happy New Year!